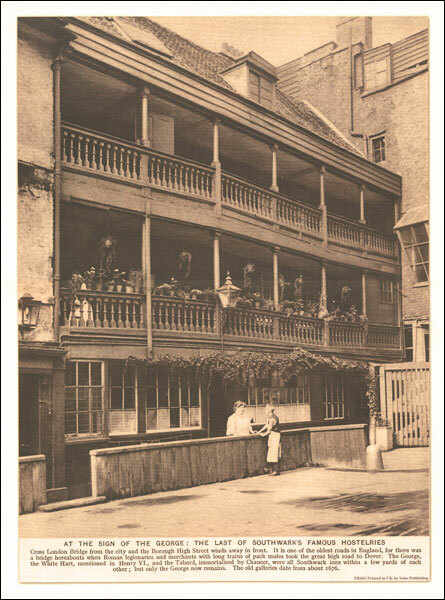 “At the sign of the George: the last of Southwark’s famous hostelries” in a series of prints of sepia photos of some of old London’s best loved landmarks, presented by Soho Publishing in an A3 (29.6 x 39.6 cm) format. Under the photo are notes about the history of The George. Size: 29.6 x 39.6cm / approx. 11.5" x 15.5"